Imagine a place where penguins outnumber people and waddle past you, unconcerned by your presence; a place where you float alongside massive icebergs and equally impressive whales. Welcome to Antarctica. This 10-day trip is perfect for those who want to take their time exploring the frozen frontier. Similar to our shorter 8-day trip, the key difference is that on this expedition the captain and crew have their sights on reaching the Polar Circle, sailing as far south as possible depending on conditions and taking advantage of weather opportunities to journey to this seldom visited part of Antarctica. 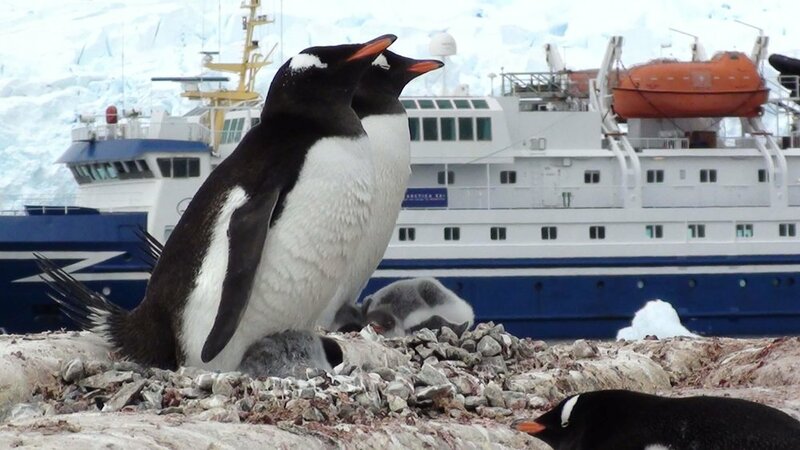 You'll work with our Antarctica expert to select one of three ships and sailing dates that's the right fit for you—whether you're traveling alone or with a significant other, friend, or family member. No matter which vessel you claim your spot on, we'll fly you across the two-day Drake Passage so that your time is optimized at every turn. Learn more about the individual ships and learn more about our unique Antarctica knowledge here. An exclusive cruise experience, reserved for the daring few who desire to see further into this mysterious land. The adventure begins with an overnight stay in the Chilean town of Punta Arenas. If you have the time and energy to explore, Punta Arenas provides the perfect spot to experience Patagonian culture and history. With monuments, palaces, and museums you'll find plenty to occupy your time. The next morning your flight will take you over the Drake Passage to start your grand adventure into Antarctica. 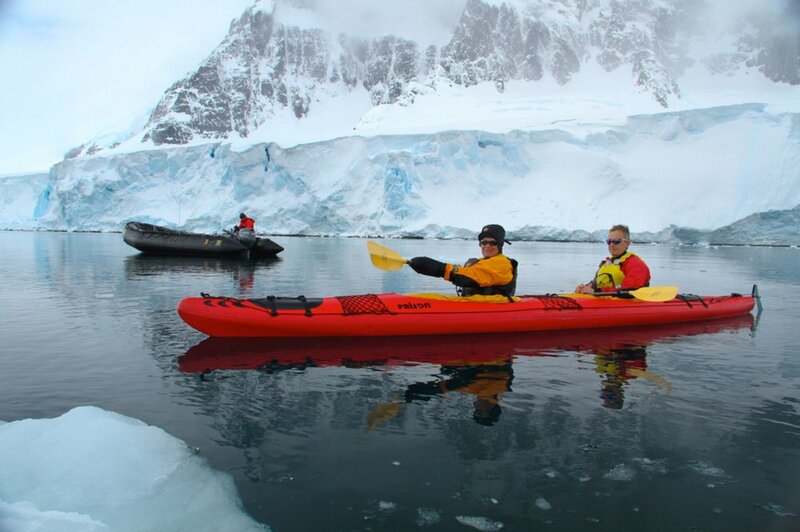 Today you will board your flight to King George Island where you can visit Chile’s Frei Station and Russia’s Bellingshausen Station, then hop on the Zodiac bound for your expedition vessel. With a maximum of 67 passengers, the Nova feels more like a private yacht than a cruise ship which allows for efficient disembarkation so you can spend less time onboard and more time exploring. Passengers enjoy a glass-enclosed observation lounge, spacious dining room, bar, library, and even a small gym for those with restless legs. The Nova provides boots for all passengers for wet landings, as well as all the gear for different modes of exploration. The next six days will be spent cruising the South Shetland Islands and west coast of the Antarctic Peninsula, with the goal of reaching the Polar Circle. 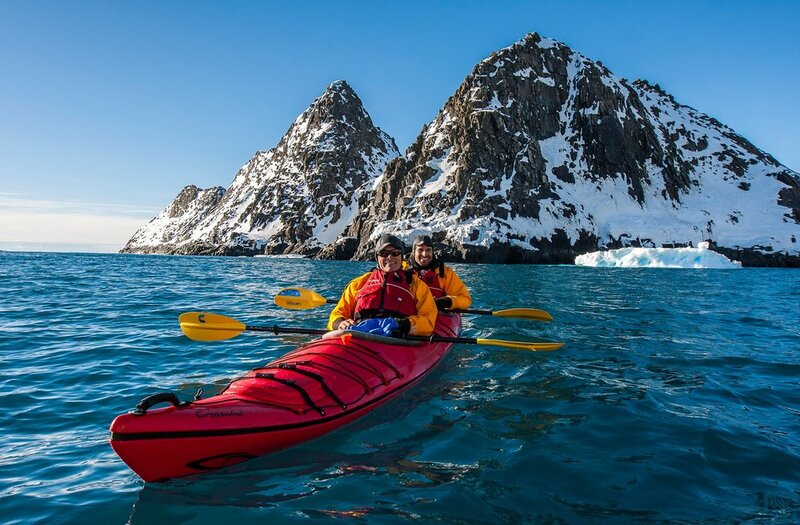 Peer off the bow as it slices like butter through thick icy fjords; disembark with your expert polar guide to mingle amongst the curious penguins, seals and seabirds; grab a kayak to venture into secluded inlets; and trek to the top of snow-covered hillsides for unique viewpoints. These guides are the best in the business and they are eager to share their passion and knowledge of this part of the world with you. The Expedition Team will set the specific voyage route based on local conditions, and takes advantage of the ever-changing opportunities provided by nature. Flexibility is the key to a successful voyage in this part of the world! 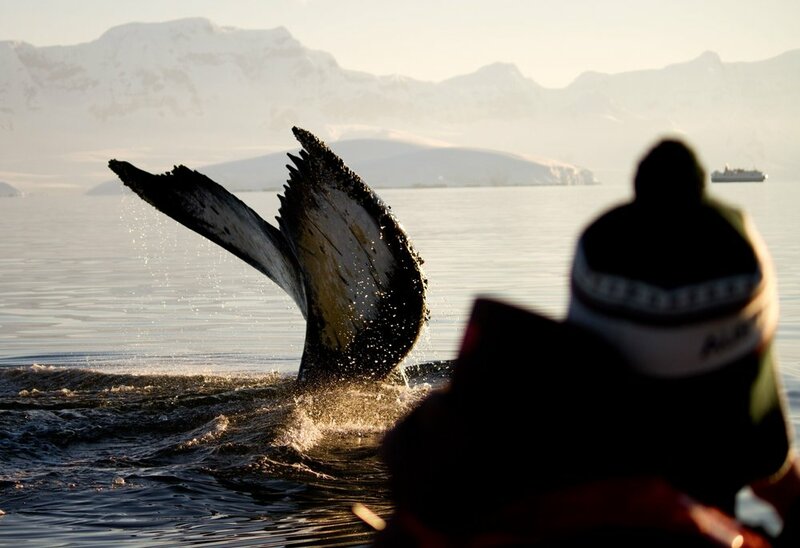 When it's time to fly back to Punta Arenas for your final overnight, you will carry new memories of awe-inspiring landscapes, adventures, and wildlife encounters unlike any you will experience anywhere else. You'll have stories to share for years; stories most can only dream of. Relax and unwind back in the comforts of Cabo de Hornos where you can rest easy in the knowledge that the journey you just experienced is a truly one-of-a-kind trip.